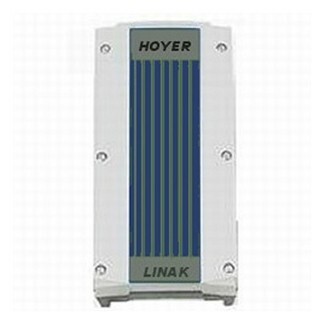 The Hoyer Journey lift is an ultra compact, portable folding stand aid with best-in-class functionality. 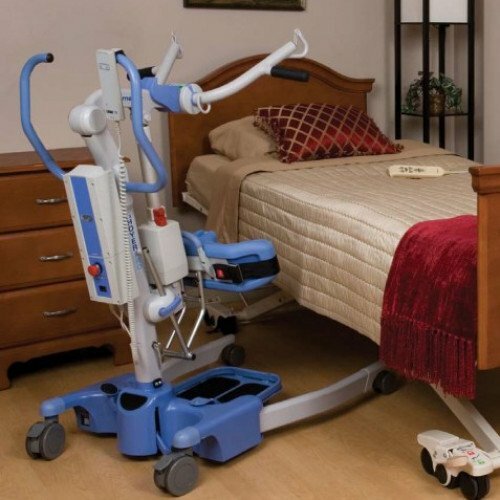 It is compact and lightweight allowing caregivers to maneuver in tight spaces while folding for easy storage or transportation. 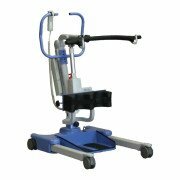 The first on the market adjustable cow-horn mechanism supports a range of patient heights and sizes, allowing your facility to have one lift that meets the needs of many. 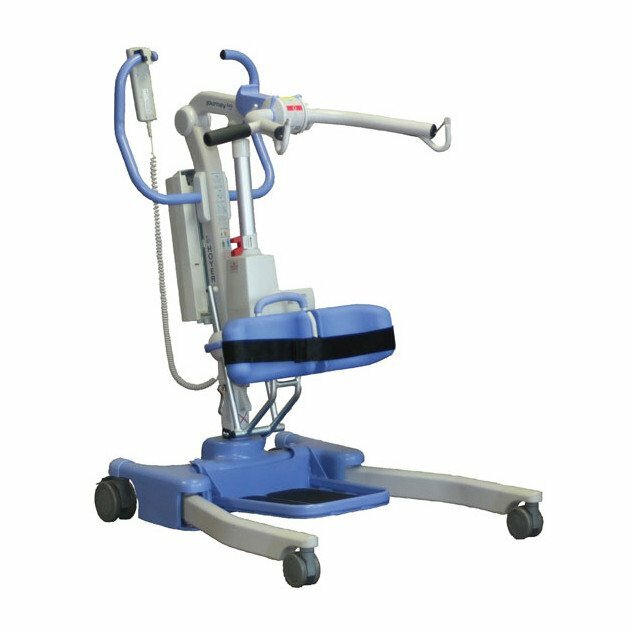 Our careful attention to product design with the Journey ensures that both the caregiver’s and the resident’s needs have been met. The Journey’s unique folding design stands unaided for easy storage. The compact design also provides an ideal size for transporting. It is the only standaid on the market that folds.The unique adjustable cowhorn mechanism supports a range of resident heights and sizes. It is also ideal for transfers from low chairs. 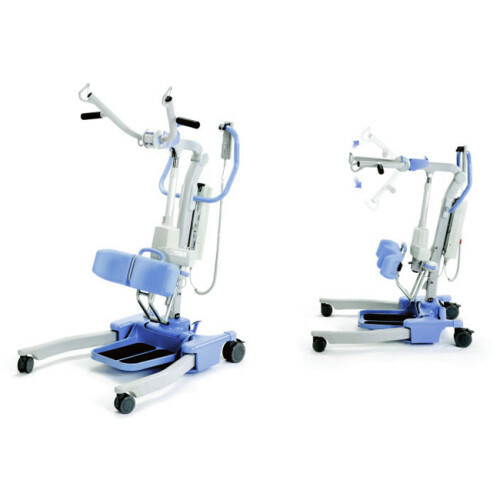 The lifting arms can be positioned in 3 angles to accommodate various patient's height. Adjustable Kneepad. The sculpted knee pad is easily adjusted for ultimate patient comfort. 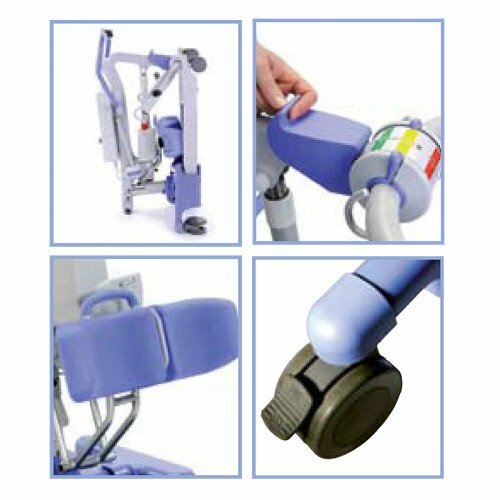 Adjustable with one hand. The newly designed bump guard provides additional protection against base plates and paint finishes in your facility. Safe Working Load 341 lbs. Maximum Overall Length 39.4 in. Minimum Overall Length 36.8 in. Maximum Overall Height 63 in. Minimum Overall Height 44.5 in. Maximum Height to Attachment Point 60.2 in. Minimum Height to Attachment Point 28.4 in. Legs Open - External Width 38.2 in. Legs Open - Internal Width 34.5 in. Legs Closed - External Width 27.0 in. Legs Closed - Internal Width 22.2 in. Widest Point (between support handles) 18.8 in. Overall Height of Legs 4.3 in. Mast, Base, Boom Assembly 82.4 lbs. Base Assembly (not including battery) 30.2 lbs. Mast & Boom (not including battery) 42.3 lbs. If your item is defective or was damaged in shipping, please call us at 888.939.0774 or email us at orders@amicamedicalsupply.com. We will arrange for the item to be repaired or replaced promptly.